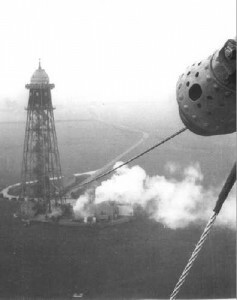 The destruction of the airship R101 on its maiden flight on 5 October 1930 ended British dreams of linking the empire with a fleet of luxury hotels in the clouds. It ended something else, too: it ended Bedfordshire. 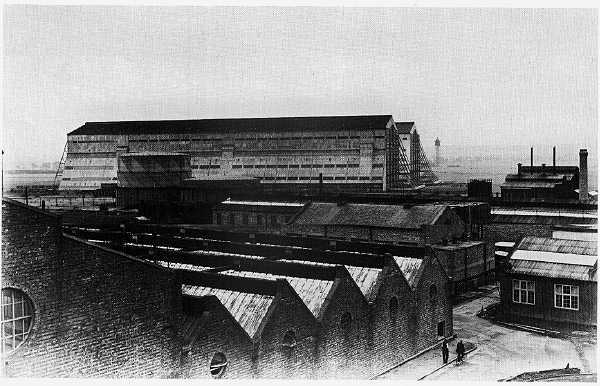 I grew up with the great airship hangars at Cardington visible from my bedroom window, and the son of the vicar of Cardington was my friend. You’d cycle down through a flat landscape of fields and cow parsley, crossing and recrossing the empty trackbed of the Midland branch to Hitchin that had served until Beeching, until you’d reach the church with its great memorial to the dead of the crash outside. Inside hung the scorched banners they’d rescued from the airship’s wreckage. Over all of this hung the same stillness and silence and sense of curtailment you find around the war memorials in Oxford colleges. Further seances enabled “Carmichael” to add detail, on one occasion in the presence of Major Oliver Villiers of the Ministry of Civil Aviation. 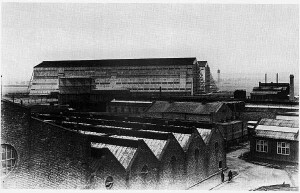 Since Garrett’s day, seances have been held in the great Cardington sheds themselves. These, to my and my friend’s mutual upset, were darker, nastier occasions. Yes, the crash victims lingered there: no, they had nothing to say to the living – save to demand that they be left alone, in aggressive, threatening tones. ← The Stockbridge Colonies: An idea whose time has come again? That interview is quite a find. Do you know Nevil Shute’s “Slide Rule”? It’s a fascinating account of his years as an aeronautical engineer in the airship business.